Shipped to your doorstep, directly by the publisher. First issue of all subscription orders are shipped within one to two weeks for the current & back issues and in March next year, for the next year subscription. Published/Marketed by: Serials Publications Pvt. Ltd.
Communications on Stochastic Analysis Journal has free shipping option available. When you choose this option, all subscribed issues are delivered free to your door step. 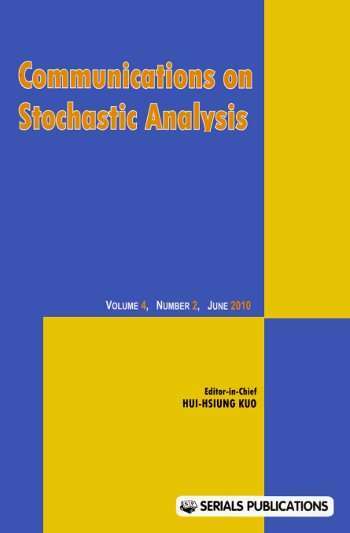 The Communications on Stochastic Analysis is a peer-reviewed journal. 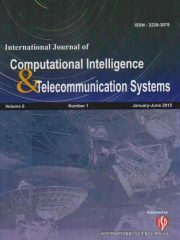 The journal Communications on Stochastic Analysis (COSA) is published in four issues annually (March, June, September, December). It aims to present original research papers of high quality in stochasti analysis (both theory and applications) and emphasizes the global development of the scientific community. The journal welcomes articles of interdisciplinary nature. Expository articles of current interest will occasionally be published. To subscribe to Communications on Stochastic Analysis Journal please choose the subscription option from the offer(s) given above by clicking on "Add to cart" or "Buy now". After you click, you will be asked to confirm if this is a renewal order of Communications on Stochastic Analysis Journal. Incase it is renewal, we recommend you give correct current subscription number of Communications on Stochastic Analysis Journal. If you do not remember the subscription number you may leave it blank, however this may delay the subscription activation of Communications on Stochastic Analysis Journal. Established in 1981, Serials Publications Pvt. Ltd. is a full-service publishing house. We are a leading international publisher as well as distributor of our numerous publications. 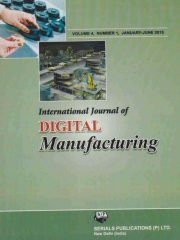 Our books and journals are among the leading international publications in their respective fields. We adhere to the highest international standards for quality, with authors and editorial members from across the globe. Serials Publications Pvt. Ltd. subscribes to an inclusive publications philosophy, which seeks to further education and learning through publications that serve the various educational needs of educators. Service We welcome excellent authors and editors seeking to publish and market their scholarly manuscripts, monographs, conference proceedings, and research journals. Aside from our full range of publication services, we have an extensive international distribution network. We are a leading Indian journal subscription agent and distributor of books and journals on a wide range of subjects. Our publications are distributed in India and internationally to libraries, institutions, vendors and others. Recognized for our marketing expertise, we use a multi-dimensional marketing and distribution strategy. 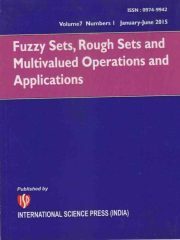 Be the first to review “Communications on Stochastic Analysis” Click here to cancel reply.